Despite the fact that buyers will often receive significantly less than the original offer, online car buying sites are still buying cars by the bucket load from the private sector everyday and selling them on through the trade for significant profits. The emergence of these operations has been one of the biggest changes in the car industry in recent years and the fact that they offer a real alternative to traditional routes, such as selling privately or part exchanging, has meant that they are met with inevitable criticisms from the trade. We have highlighted the good and the bad aspects of these sites over the last few years and the fact that more and more are springing up must indicate that there is a market for this kind of service. Traditional dealers will need to become much sharper in how they do business with customers who do not necessarily wish to buy another car but want to dispose of their existing car leaving them free to negotiate somewhere else. 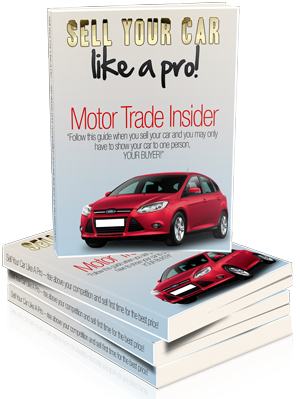 Not having a car to trade-in is perceived by many to be a hindrance to the negotiation process when, very often as many dealers will tell you, it is actually a help. For example there aren’t many decent franchised dealers who wouldn’t see the value in selling a car to a customer and at the same time taking in a car which they can re-sell at another profit. However the fact that many buyers are still selling to online buying sites indicates that dealers have still not grasped the fact that by supporting customers who wish to purchase from them by giving a fair and realistic price. This may go some way towards negating the need for the customer to go elsewhere, especially when you consider that it can only be more hassle to sell your car to one place and then traipse off and buy a car from somewhere else when it would be far easier to complete both transactions under one roof and minimise the time taken to complete the process. Sadly there are still many dealers out there who would pay a high figure through the trade or through an auction and use the potential customer who wants to support the business as a way of trying to get their car cheaply when surely it should be the other way around. A loyal customer who may have bought several cars from you and who has supported the business should surely be the biggest beneficiary of top prices given for potential retail cars? Until car dealers wake up to the fact that the market has shrunk and sourcing those 3 year old retailable cars will be harder than ever this year, they are likely to have to buy similar cars from online buying sites who will provide a realistic alternative to customers who do not believe they will get a fair deal from their local dealer. 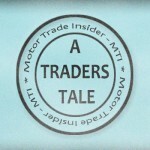 i dont think the article is aimed at you Mark if anything you will be the beneficiary of the inerta from the main dealer world as you are more personally involved in what you will allow in chop or if you even want to take it in at all and if your average slling price is much lower than at main dealers then you will surely only attract the fodder anyway.In my experience the higher priced and profile the car is, the better quality the trade in is as a result.This is aimed at lazy franchised dealers who have staff who cant be bothered to get off the arses and recognise what an opportunity they have when someone just wants to sell them a similar ca to the ones they sell every day and have an opportunity to sell another one in the proces,alternatively they can buy the same cars they have been offerd by the online buying sites only for more money,why else can so many of these sites by cropping up if it is not profitabe business,and you only need look at the recent survey carried out by what car to see that they ae ip to their old tricks again by offering one price online and then a much lower one when it comes to transaction,yet people STILL sell their cars to them,why? because they at least provide a service and actully get back to enquirys within a week,people use them not neccesarily because they will get the best price but for convenience,and if dealerships dont wake up and smell the coffee they will go bust and very soon. Car dealers are strange breed to us customers. It seems to me that unlike many other businesses you are very short sited. Many of you judge your customers by the immediate financial value of a customer and usually do not encourage loyalty. Nearly every other business type I know see the first sale as the start of a relationship in which they hope much more business from a new customer and their referrals will come. Many customers are suspicious of car dealers as the perception is that there are many cowboys in this trade so speaking for myself we tend to stick to a good dealer or garage we know, better the devil you know! We recently tried a new dealer who gave us very poor service and just re-enforced our cowboy perception. No doubt many car dealers will complain that there is no loyalty and people just go for the cheapest or keep looking until they find the car they want. To the first point, that is because you do not encourage it and to the second, why don’t you work together a bit more, maybe you do but I/we don’t know that. It’s the post sale service that makes the difference and what you do when something goes wrong. Oh, and I almost forgot. Take my worthless heap and give me something for it, make it easy for me to buy from you. Sometimes I only have £1,000 to spend and sometimes I have £10,000 to spend, maybe later £30,000 but you will not get my £10,000 or £30,000 if you do not look after me when I only have £1,000. I know this is obvious but certainly not all of you. Totally agree. Look after me now when I only have the £1,000 and i am much more likely to come back when I do have £30,000. That said a lot of dealer groups and good garages are concentrating on customer loyalty. At last realising that it is easier to sell to an existing customer than it is a new one. You can build customer retention without the constant sales and promotional advertising. People do not always go for the cheapest. Instead when times are good they go for what they think is the best value for money. This may not be the cheapest price bur a combination of factors. 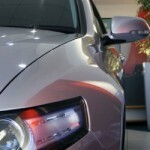 Customer loyalty when it comes to buying cars? does it exist???? we are of course grateful to the customer who comes back after 5 years and says “I’m Back again” but in the real world by the time an old customer comes to change their vehicle you will most definitely not be their only choice, it always has been and always will be about price !……………………….. Yes, I hear this price argument many, many times, in many trades and of course to some extent it is true and you just said what I knew you would say. Perhaps we should ask ourselves how this came about, I don’t suppose it could have anything to do with price wars within a trade … could it? Anyway, whilst price is important so is finding the car you want and even if a customer is not loyal they have to end up buying somewhere and they are going to tell their friends how their purchase went, “yeah, they were great, I would go back there again” or “what a bunch of *&”$£*&, I’ll never go back there again”. Your choice so to speak. I’m a customer and I don’t care about you or your business unless I like you or someone else raves about you. Believe you me, we do buy on referrals. BTW I have a referred garage in mind to check out for my next car purchase when the time comes and have recommended them to at least one other person who is currently looking for a car. Some customers are going be difficult or unpleasant whatever business you are in, I’m afraid the car trade does not have a monopoly on this. No point whinging about it, you signed up for it as soon as you started selling something. Stuart you make an important point and miss one at the same time, i am the business and i’m not in the business of liking my customers either, sick to death of them whining about whether they like us or not, more to the point……………..do we like you? have lost count of the amount of “hey, i’m doing you a favour by buying from you types we have run of the forecourt, liking someone cuts both ways……………….. I was in the motor industry for over twenty years, from service to fleet and sales then to management and DP. I can now see both sides of the story. When you are in the industry it is hard to keep grounded in terms of money and purchasing power. God they are only buying a cheap 5K what do they expect. The problem is that that 5K could be biggest thing that they buy. For them it is the most important thing in the world. They want to get their pound of flesh and be king for a day. Why not! And Sorry price wars well hey how do we have to blame but the motor industry themselves, oh yeh and the manufacturers who are so concerned with market share that they allow mass registrations. Hate to say it but excellent customer service keeps existing customers and attracts new. Perhaps it is something to do with the quality of sales executives instead. After all most of the really good sales people have left the industry now and gone to jobs where they are not expected to work 80 hours a week plus. Whats that saying monkeys and peanuts??? In general I agree with Jackie. It’s simple really, what do you want when you are a customer? Mark, if you really feel like that about your customers then perhaps, and with respect, you should consider doing something else that you do like. In system such as ours with a competitive market for the vast majority of trades you have to draw your customers in. It is each respective industry that has led customers to expect the level of service, prices etc that they now do. 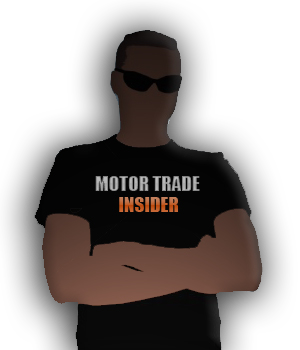 “Motor Trader” above is exercising his competitive edge such that a competitor becomes an option which he can leverage to both his and the customers advantage. Well of course there are truths in all our points, but we have just found over the past few years that customers are becoming more and more judgmental in their outlook, mean, moody, downright rude frankly and it has become the number one gripe among our staff at weekly meetings, maybe it’s our location so near to London, everyone in a rush, no smiling faces, they need a car but resent having to buy one? we have tried so many different ways of communicating with them and still it’s a blank stare most of time, we are still selling alot of cars but can honestly count on one hand the amount of decent friendly people we come across, to sum it up they just don’t seem interested or even exited about their new car, more of a hassle to them them anything else and i guarantee without fail every single one is only interested in price, price, and price, nothing else, commonest heard saying, “I don’t want the warranty, or servicing package, or bells and whistles, give me your cheapest price !” and when you do they still walk !!!…………………………….. @Mark R. Speculating, I think there is a combination of things happening here. The economic times, yes maybe because it’s the London area, I live in Bristol but go to London Regularly and it’s a nice place to visit but I wouldn’t want to live there, the same for many capital cities with elevated stress levels. 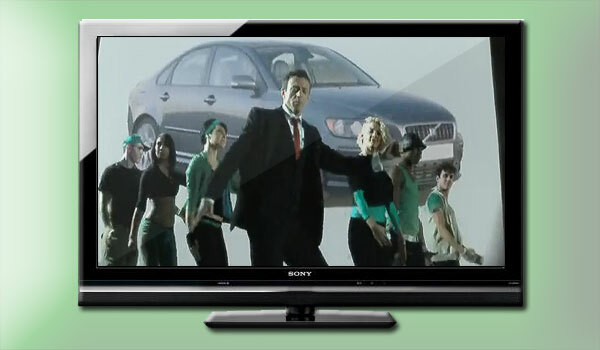 It may also be the type of customer you are attracting possibly due to your marketing and the types of cars you sell. Are your customers local or do they travel any distance to get to you? If they are local, is it the character of your area? Do they respond like for like, that is people to a degree will mimic so the initial response you get will reflect your initial approach. There are too many questions, far beyond this response. What are your competitors doing? @Mark R. I understand your points but I still have to disagree. I ran big a big volume dealership in a large city with a background of poor economic growth. Lower income demographic and also a mentality of doing anything they could to “get one over ” on the dealership. Hate to say it but it is about relationship building and staff training. No please don’t groan it really is. If your staff are trained and equipped they will be able to build a higher perception of value. I took over and introduced a massive re-training exercise. New incentives for sales and even included service dept. I left the industry not because of any other reason than two small children and being fed up never seeing them. I left in the height of the downturn and the business was bucking the trend. Sales and PPU where up. No not just up but way up. Pen of add ons was up. Involve your team. Yes there will always be the k*** H****’s and tyre kickers but they will be the exception on the norm. No I am not looking through rose coloured glass’s just factual information. The WBAC of the world are a good thing. The price the offer has already lowered the customers expectations of the vehicle. Its just down to you to lower it a bit more to a more realistic amount. I go into a used dealer 5 minutes walk away from where we live with my daughter a year or so ago to get a small inexpensive car, about £1,000 worth. The car is at the back of the yard and although we are interested in trying it out, the sales guy is not very interested, he needs to get it out from the back but makes us wait around, eventually we give up and go. We might not have bought it even if we had tried it out but if he had given us good service we would go back there next time we needed a car to see what they had. This dealer sales a lot of nice condition cars around the £8,000 to £10,000 mark but some others above and below that price. This week we spent £4,500 on another car and we probably spend around £15,000 to £20,000 or more on cars within a 10 year period at today’s prices. I will not be going back to this dealer ever, even if the staff and owner change I probably won’t notice so they may not get our business either. My friend Andy quite a few years back wanted to but a brand new BMW motorbike. He worked with me in IT at the time and earned a very decent amount of money. The trouble is he is a bit scruffy, like to talk a bit and ask questions. He goes into the showroom, he has all the money in cash, in a bag, he ready to buy there and then. Maybe he is not the usual type of BMW motorbike buyer I don’t know but the sales staff pretty much dismiss him and show no interest. He walks back out again … with his money. Now, if you think your customers mess you about then you want to try some other trades. I worked in telecoms for a while and unlike cars which most people see as a desire buy nobody really wants a phone system, they just need one. Customers don’t mess you about when they drop into your showroom a few times, it can go on for months, even a year. Will they buy, won’t they. All I know is, if I don’t give them good service the answer will be “they won’t”. If every penny counts then go for every penny. Seeds planted today can often reward you later on. That’s it in a nutshell – when it’s your own money its a different ball game, we can all be brave spending other peoples, every descion you make when its your own is a crucial one especially with depreciating assets like cars. This debate has been intersting but it highlights the completely different attitudes between main and non-main, where the brand basically runs your business and non-conformance is costly, and even if you dont really agree you dont say so, no there will always be those that shop purely on price and those that want a package and as long as the businesses receive the customers they wish to cater for that’s probably as much as we can hope for. You see Stuart i agree with you to a point, but, and here’s the very big BUT, you expect this dealer to get excited about you buying a £1,000 car, it’s at the back of the yard you say, so he has to move all the others out of the way for you to “Try it” yes? do you at any time make it known to him that you have checked the insurance category? found out how much the road tax is? taken the time to open it, look in it, your daughter has satisfied herself that this is the car she actually wants? (because in my experience most of them haven’t a clue when it’s in this price range) and did you say those important words…….”we are not messing you about, if you get it out for us and it drives all good we are very interested in purchasing it today” No Stuart? then i also wouldn’t be getting it out for you “to try” either, get real man !!!! Every day we get people (lots of people) walking on the site and saying those immortal words “Can i take that car out for a test drive please” it makes no difference if it’s £1,000 or £20,000 our reply will always be the same, “Of course Sir /Madam, Do you need finance? Have you a Part Exchange? Have you checked the insurance is suitable and you are happy with the road tax per annum? Are you serious or are do you have others to look at? If it drives as you expect are you happy to leave a deposit? etc etc etc…………….. If we let every potential customer drive every single car they asked to try we would have an empty forecourt very soon and staff running around like headless chickens, do your homework first, find out exactly what it is you want, ask the friend, the wife, the dog if you so wish, but do all that first before you come and “just try” a vehicle, it’s a waste of my and your time……………makes sense for all doesn’t it? Well I guess I wouldn’t be one of your customers. In answer, yes we looked at the car, started the engine etc etc. I have been buying cars for many years. I have bought them so clearly I do buy them and I have been somebody’s customer many times. As for all the questions like what insurance category, well, as a customer I may or may not have checked those things. If I come to you selling a phone system and say right sir, have you checked out all the features that you want, what sort of handsets you need, do you want analogue, digital or IP phones, do you want 3, 5 or 7 years finance, do you need new lines, analogue, ISDN2, ISDN30 or SIP you will quite rightly turn around and say “I don’t know, your supposed to be the expert, guide me”. I’m the customer, your the expert. I’m not going to plead with you to buy a car off of you, I’ll just go to the next dealer. If you try to make me feel stupid, small or try to patronise me, I’ll go to the next dealer. If you don’t want my money that’s fine, somebody will get it though, if not today, tomorrow! If I say to you “I’m not messing you about”, what does that mean, you don’t know me I might say that to everyone regardless. If you put a car that you want to sell at the back I might sympathise with you but I’m not responsible for that. There is a lot of wasting time in sales in many trades that we try to reduce by guiding a customer to a yes, no and least favourite, a maybe but treating the customer as your enemy sounds like a road to liquidation to me. Ooh, one more story, another dealer, I can’t remember exactly what was said but roughly … we said can we take the car out for a test drive etc etc, the miserable salesman said no not with out us doing a credit check on you first (after establishing that was the way we would pay if we did buy it), we said, sorry we’re not hanging around for the time it takes to do that and went to the dealer down the road who said sure, you can take the car out, we took it out and spent £6,000 there and then on finance. The first dealer went out of business a few months later. If I was spending £20,000 I might make the people I’m buying off of work a bit harder, £20,000 is a fair bit of money. If I said to you, be nice to a few people for a few hours for £5,000 profit over the next 5 years would you do that? Do you ask your customers and your potential customers why they bought from you, why they didn’t, what they thought of their experience with you pre-sale and post sale? Do you know which customers who didn’t buy from you but bought from another dealer in your area and why? Have you asked them what you could do to get them to buy from you, they might even tell you! Anyway, perhaps you should try selling phone systems, you’ll like that, it’s a boat load of fun! Anyway, here endeth my contribution to this thread. Got to be completely honest. I left the main dealerships just over two years ago to set up my own company. It has been a hard slog, so you see I do know about how difficult it is when it is your own money. Just like you no banks loans , grants, all my own hard earned funding. The one thing that sets us aside is that we are even more concerned about customer experience after all its my name now. No dealer group to hide behind. The buck and the bottom lines stops with me. I am not saying that every customer should be wined and dinned but we have to remember that it can be a big deal for some members of the public. Staff training, customer qualification has to be the key. There will always be messers, still have them today and always will. But the that’s ok. Can not please everyone. And sorry if you have never heard a customer utter the immortal words as they hand over their deposit” we only came to have a look” or “best cancel the test drive booked at XXXX ” then sorry you are doing it wrong. Surely the art of a good sales person, not an exec, not a monkey in a suit is to turn more messers into customers? That company of yours, Is that a large Used Car Dealership Jackie or have you left the Retail side of the business? just wondered……….